More than one third of Americans take a vacation (over 50 miles away from home) each year. And it’s likely that throughout the rest of the year they’re saving up for it and planning the budget. But nothing can ruin the feeling of wanderlust quicker than the pain of unexpected fees on vacation. Some of these hidden expenses are avoidable through negotiation or clever workarounds, but others require a “Hope for the best but plan for the worst” mentality. At least being aware of the potential taxes and fees you could incur on vacation will help prepare for them. You can actively search for some of the following terms and conditions while planning your getaway. And don’t forget that you can turn your phone into the perfect travel tool! Even if you’ve never traveled, you’re probably aware of some of these expenses, like luggage fees at airports. Most airlines not only charge for overweight or over-sized luggage, but now for checking a bag at all. On top of that, there are other fees you may be less familiar with. Airport tax (or entry and departure tax), peak travel surcharges, destination taxes, security fees and fuel surcharges really add up. The majority of these fees are bundled into your airfare and are unavoidable. But because airlines aren’t required to list a detailed breakdown, sometimes it’s hard to understand what you’re paying for. Domestic flights require much less in additional fees mandated by the government, but for international flights, surcharges can easily cost you hundreds of dollars. Not flying? Unfortunately, rental cars have a slew of fees, too. Rental insurance is one of these fees that can be avoided if you have an auto insurance policy for your own car. The re-fuel policy of car rental agencies is usually pretty clear, but if your tank isn’t full when returned, do you know how much over the price per gallon you’ll be charged? They could also try to get you with extra driver fees and added age-based surcharges. 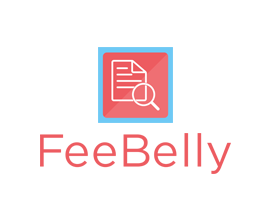 Scanning for fine print in the car lease document with FeeBelly is just one of the ways your phone can be your best friend on your trip. Before you can rest easy in a hotel, you should prepare for how much it is going to cost you. You might not even know about some of the fees (like a ‘resort fee’) until you check out. Resort fees, which might help pay for the pool or workout room) could cost an extra $20 to $70 per night even if you don’t use the services. Hotels and even AirBnb’s also charge city taxes or occupancy taxes, which vary by area but can be as much as $22 a day. Especially abroad, city taxes and tourist accommodation taxes can be a huge surprise when not included in the room fee. Other costs that can sneak up include laundry services, parking, mandatory valet services, and expected gratuity. And of course, everyone knows not to touch the minibar, snacks, or even water unless you’re ready to pay double or even triple the cost you can get it for at the convenience store. Your phone and related apps can be very helpful here to find reviews and recommendations for lodging. 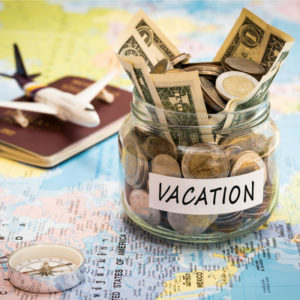 As if the cost of getting there, staying there, and enjoying yourself there aren’t enough, there are plenty of other daunting, unexpected fees on vacation getaways. International cell phone plans and data roaming charges are probably the most common surprise expenses that can cost thousands. Foreign transaction fees and currency exchange rates wield their own horror stories. Using your credit card overseas can cost as much as three percent per transaction. Before you go on your trip, check in with your bank and follow the steps to secure your finances. Also, don’t forget about ATM fees, WiFi charges (at the hotel, airport, and even on the plane), and entry fees to your destinations. Even places like free national parks end up charging a $50 entry or parking fee. The bottom line is, after budgeting and saving for a vacation getaway, don’t let nickel-and-dime fees spoil the fun. You can easily prepare for these hidden expenses, and even avoid some. Utilize your 0h-so-handy smartphone to review contracts, find deals, and check reviews during your trip. With some extra insights and preparation, your vacation can be all you ever wanted (and nothing you didn’t).